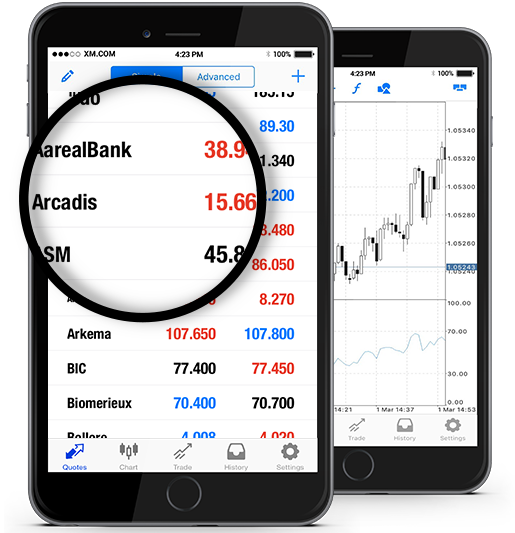 At XM we offer Arcadis NV (ARDS.AS) stocks as cash CFDs. Our cash CFDs stocks are undated transactions that aim to replicate the cash price of the underlying stock, and so they are adjusted for any relevant corporate actions. Arcadis NV is a leading Dutch company specialized in design, engineering and management consulting, founded in 1868 and headquartered in Amsterdam, Netherlands. Operating its business via over 150 offices in over 38 countries, Arcadis NV runs large caliber projects related to a series of market sectors (e.g. commercial, financial, industrial, retail, public sector, transportation, water and utilities). The company is a Next 150 index component, and it is listed on Euronext stock exchange. *** Note that the maximum trading volume for Arcadis per client is 777 lots. This limit will be reviewed on a daily basis and updated according to the value of the instrument. How to Start Trading Arcadis NV (ARDS.AS)? Double-click on Arcadis NV (ARDS.AS) from the “Market Watch” to open an order for this instrument.